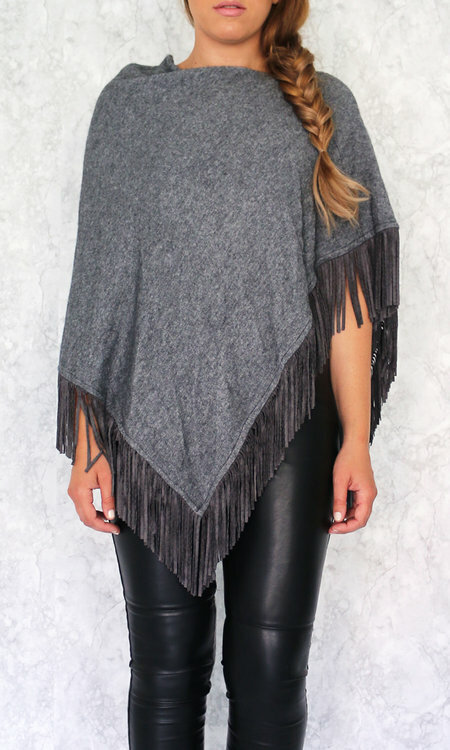 Lovely poncho in soft, comfortable material and fringes. High neckline. Nb! The picture shows Paige poncho in grey.